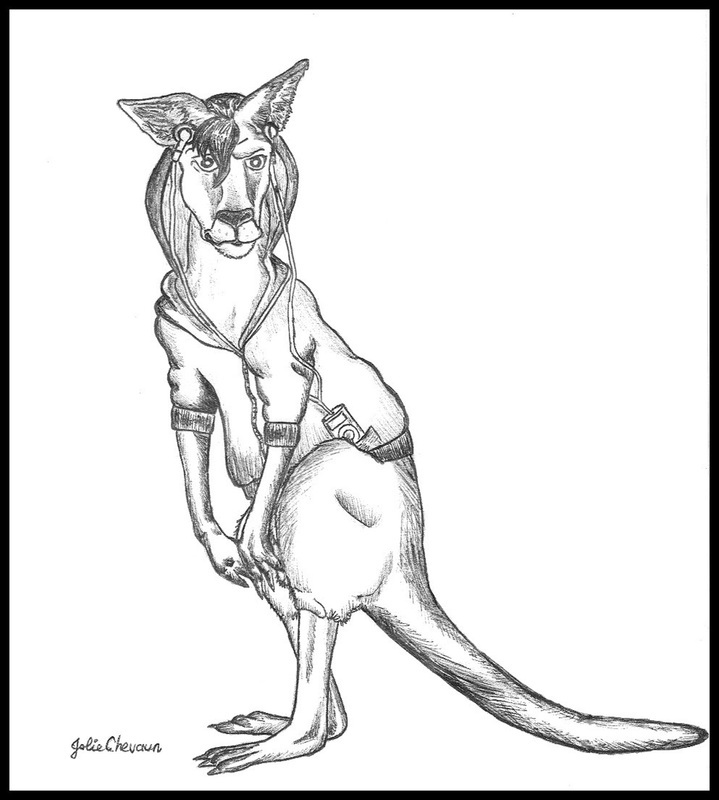 The tale of a true-blue roo's life told in rollicking rhyme and illustrated throughout with lively black and white drawings by Jolie Chevaun. 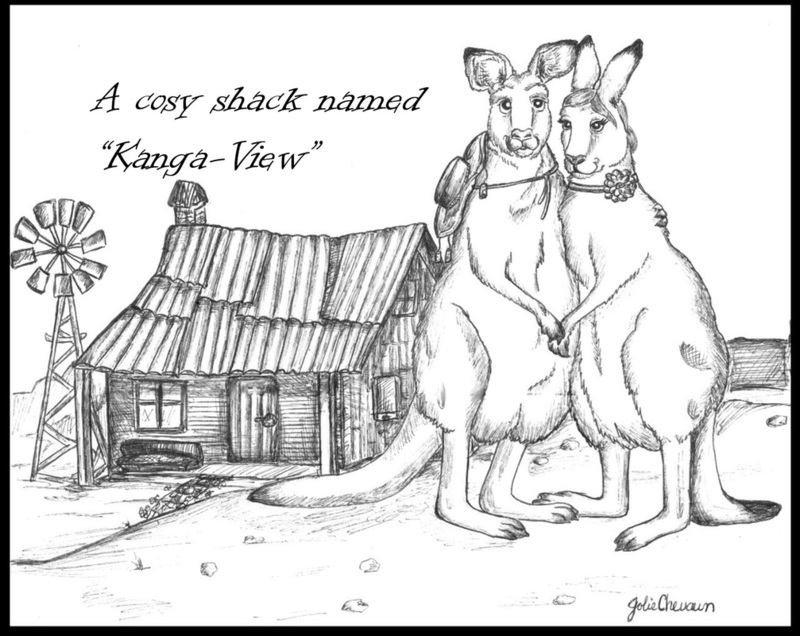 and a cosy shack named "Kanga-View"
As you see from the samples below, The Story of Kanga-Who? has black and white illustrations. Here's an opportunity for your colourng-in experts to create their own unique books. The small "Kanga-Who is "small square", but for those who prefer more area for colouring, it will also be available in A4 size.